Now that the forwards have been “chosen” for the Detroit Red Wings’ alumni game against the Avalanche alumni, it’s time to pick the defensemen and goaltenders who best represent the Wings from their rivalry days. The alumni are scheduled to take on Colorado on February 16, 2016, a day prior to the NHL Stadium Series game featuring the two current teams. With Nicklas Lidstrom and Chris Chelios already committed to the team, there are only four spots left on the blue line. Scotty Bowman dressed a number of defensemen in games against the Avalanche from 1996 to 2002, so choosing four who best represent the rivalry is not as obvious as it was for centers or left wings. 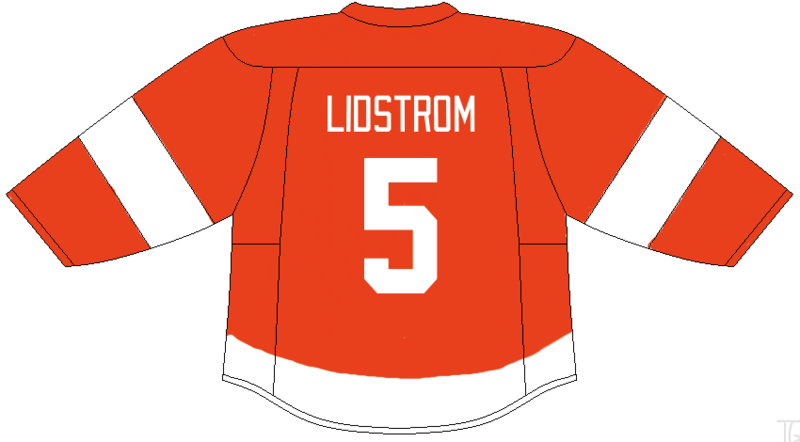 The dynamic pairing of Lidstrom and Larry Murphy often was tasked with shutting down Colorado’s top players, such as Peter Forsberg and Joe Sakic. Additionally, Murphy should be credited for helping Lidstrom develop into the Hall of Famer that he was. A steady, right-handed shot with Stanley Cup experience was the perfect complement to the Perfect Human. One aspect that made the Red Wings great from 1995 to 1997 was the deployment of the Russian Five. 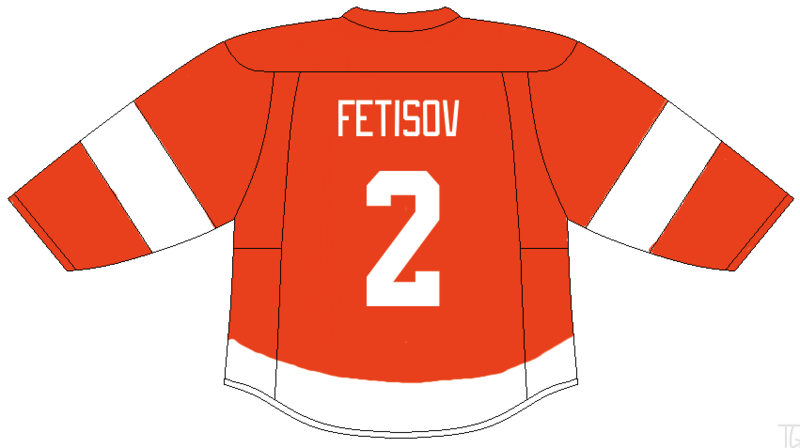 Slava Fetisov, though a controversial figure today, deserves an opportunity to play alongside Sergei Fedorov, Slava Kozlov, and Igor Larionov, with Vladimir Konstantinov named an honorary member. After joining the Red Wings at the 1999 Trade Deadline, Chris Chelios provided grit on the blue line and invaluable leadership in the locker room. He had his fair share of tussles with the Avalanche despite not being a Red Wing when the Draper hit, Fight Night at the Joe, and Fight Night Part Two went down. Both Aaron Ward and Mathieu Dandenault patrolled the blue line on lower pairings for the Red Wings through most of their rivalry with the Avalanche. Ward did not participate in the final year of the rivalry after he was dealt to Carolina prior to the 2001-02 season. Ward’s participation in the physical aspect of the rivalry validates his spot on the team. As for Dandenault, he had a more significant role than most assume. When Patrick Roy was still with the Canadiens, Dandenault popped two goals past Roy in the 11-1 shellacking that resulted in Roy demanding a trade. If that wasn’t a significant enough contribution to the rivalry, Dandenault spent the duration of the rivalry with the Red Wings, giving him the edge to make the team over the likes of Paul Coffey, Steve Duchesne, and Jiri Fischer, who spent only a few years with the Red Wings during the rivalry era. The decision to choose Chris Osgood and Mike Vernon over Dominik Hasek was more difficult than anticipated. It is true that Osgood and Vernon best represent the rivalry, but Hasek had more playoff series victories over the Avalanche from 1996-2002 than Osgood and as many as Vernon (only one). Osgood didn’t actually beat the Avalanche in a playoff series until 2008, long after the rivalry had died out. Nonetheless, Red Wings fans will always endear Osgood and Vernon for their guts to meet the meanest goalie in the NHL at center ice in back-to-back years. Despite both goaltenders’ stature, they didn’t back down and scored pretty well on their fight cards against Roy.